The classic boozy winter drink is a great way to keep warm when it’s cold outside. Here are our favorite variations found in New York City bars. We named some of our favorite hot drinks in NYC recently, and now we’ll turn our attention to a specific one: the hot toddy. In its simplest form, a hot toddy is made of a mere three ingredients, says drinks historian David Wondrich: a spirit (whiskey is the most common choice), a sweetener, and boiling water. Often you’ll find citrus and spices or tea added as well. The drink’s simplicity renders it open to infinite variations—and an enormous number can be found in NYC bars. Here are some different takes on the hot toddy we’re loving right now. Do note: since these drinks are super-seasonal, they may not all be on the bars’s main menus. Just ask, though, and we’re assured they’ll be happy to make one for you. 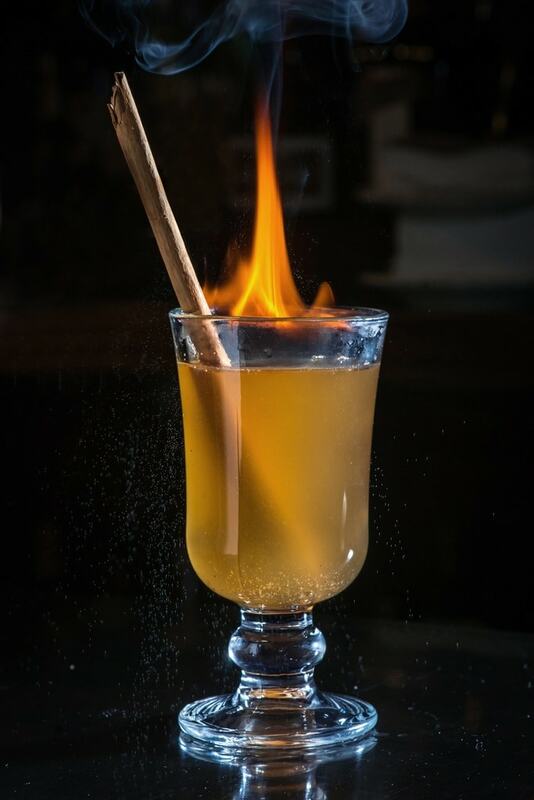 Luxe Ralph Lauren-owned restaurant The Polo Bar is serving a toddy twist called The Fireside, made with Japanese whiskey, rum, cognac, demerara syrup, ginger syrup, and lemon, garnished with grated cinnamon. It’s said to be a favorite of Mr. Lauren himself. Tribeca favorite Ward III recently reopened after a lengthy renovation period. You can get a traditional toddy there, made with Evan Williams bourbon, demerara syrup, winter spices, and citrus twists. Mother’s Ruin serves a gin-based hot toddy, made with Four Pillars gin from Australia, along with orange marmalade, honey, lemon, cloves, and cinnamon. Dutch Kills, in Long Island City, Queens, is home to bartender Haley Traub, the winner of this year’s Speed Rack Tri-State Finals. 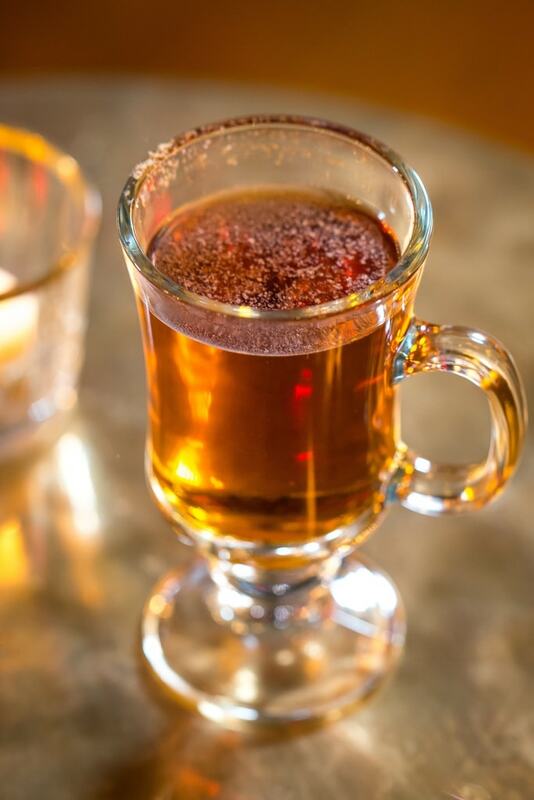 The bar’s hot toddy skews traditional, with bourbon, lemon, honey, and cinnamon. The Shanty, a bar adjacent to a distillery, serves cocktails incorporating spirits distilled mere feet away. This one incorporates New York Distilling Company’s flavored whiskey Mister Katz’s Rock & Rye—which blends young rye whiskey with rock candy sugar with flavors of sour cherry, cinnamon, and citrus—plus lemon juice, honey syrup, and a dash of bitters. Given the bar’s name, it should be no surprise that The Rum House’s signature hot toddy is rum-based. It combines spiced rum, lemon, demerara syrup, winter spices, citrus peel, and a slice of fresh ginger for an extra spicy kick. So how do you make one yourself? Here’s a very simple recipe from one of our favorite bars. Combine all ingredients in a 6 oz glass, add 3 oz hot water, and stir. Garnish with a half lemon wheel, if desired.